I've been keeping something to myself for a little while that it's time to share with you! 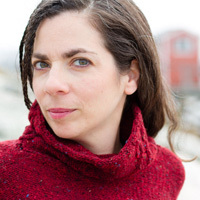 Have you heard about Brave New Knits by Julie Turjoman? Ever since my advance copy came it's been my bedtime reading. I am having such a good time reading in depth about old friends, learning more about new friends, and discovering some designers I want to call friend. It's been so enjoyable that I've been rationing the book one chapter at a time so it doesn't go too quickly. The book is broken up into 26 sections with an in depth interview of each designer/blogger and their project. The hardest part is not flipping ahead to see who is coming next... good fun, I tell you! Of course, I want to share with you the Working All the Angles Blanket designed by Kristi Porter with Schaefer Yarn that combines 3 colors (Margo Jones, Julia Child, and Elena Piscopia) and 3 fibers (Nancy, Danya and Miss Priss). I love that Kristi designed this blanket in sections so that you can take it with you as you are knitting it, and then put it together with a three needle bind-off once all the pieces are done. 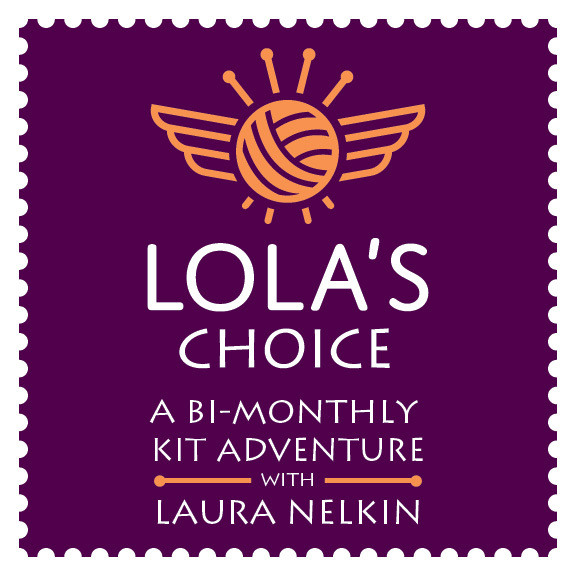 Brilliant for an on the go project! Photographs copyright 2010 by Jared Flood/Brooklyn Tweed. The book sounds really interesting! Good for you for having the willpower to ration it! Forgot to leave contact info -- I'm mlb on Rav. I would love to win a copy! Thank you for the offer. 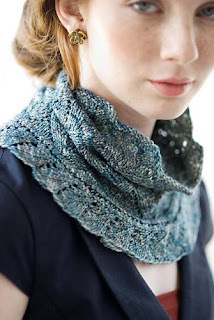 Wow - what great designs - and a gorgeous yarn choice to go with it! I think I'd want to knit them all! The book looks so interesting, I can never wait and ration out a book. I even will read the ending first! This book is currently at the top of my list. Was thinking of ordering it this week, but maybe I'll wait. I'm koffeeknits on Ravelry. Working All the Angles Blanket got my attention right away. Looks like a great book! The blanket appeals to me since I knit during my morning commute. Modular knitting is best for that. I'd love to win a copy of the book! 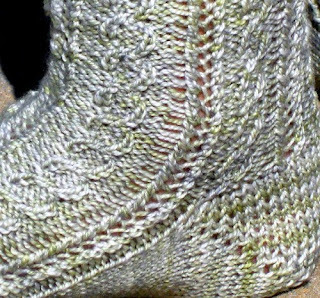 JontyHS on Ravelry. It looks like a great book. I'm sure I'm going to see it in person one way or another! Sounds like a great book with a lot of creative projects! Would love to try one out! I love the blanket, and am excited to get the book! I'll see you in Comfort and would love to have this book and yarn to go with it. 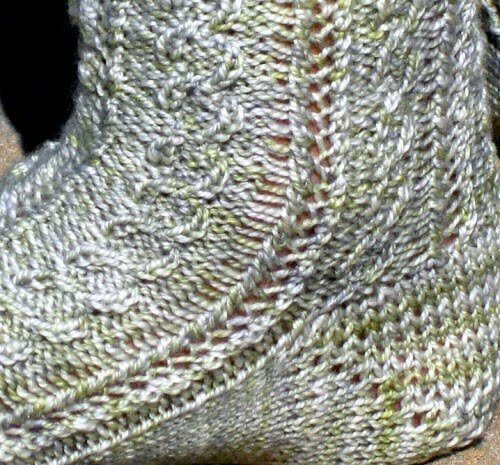 sjordan on ravelry. What a great giveaway... looks like some great patterns... and LOVE that yarn! Heather with the Hydragea Neckwarmer looks like a real winner...and an great pocketbook project! Thanks for sharing with us Laura! I would love to be included in the drawing. PS: any sales in the near future? oooh, so many great patterns in this book! Thanks for the opportunity to win a copy! Ooo, would love to check out this book in person! I love reading all their blogs! Thanks for the great offer. What a wonderful way to head into fall, so many terrific patterns! I love that throw. And all of the patterns you highlighted are gorgeous! Julie will be in my town next month and I'm super excited by that, so I plan to pick up my copy then...if I'm not lucky enough to win one. I love knit blogs and follow most of the people I've seen listed so far, but know I'll find new gems in the book, too!!! Sounds like a very good book. and the schaffer yarn is always so yummy. I've been drooling over the projects in this book and wanting to pick up a copy, myself. Your review makes me want it even more! Love that you are dusting off your cowboy boots Laura! Wish you would wear them to TN. please enter me in your generous giveaway ! thanks !!! Both the yarn and the book are on my wish list. The combo is awesome. Fingers crossed. Wow! I'm excited to see more from this book not to mention knit up a few from the preview. I'm amazed that you can read just one chapter at a time; no way could I do that!! I would love to win this book. I've been admiring all the gorgeous projects on Ravelry. That book looks wonderful. I'd love to win a copy and learn more about that blanket. I love heather yarn and have knit my favorite cowls with it. The book looks great. i love a good contest as much as i love Heather! sign me up! Sign me up. Some lovely designs. I have browsed this book online wherever I can and I love it! I enjoyed these photos so much - gorgeous knitting is as good as food on a lunch break. Thank you for offering such a generous give-away, and please count me in. I love this book. It just came to my attention in the last couple of days and I have been all over the net looking at little peaks of it. Count me in for your give-away. Thanks so much for the chance to win this great book. Wow how generous - would love the book - but better yet a skein of your delicious yarn! Thanks for shring! The book and the yarn sound absolutely fabulous--I'd love to win. But if I don't, will still check out the book from the library, and possibly purchase. oh this would be very exciting. I do love giveaways! I've seen previews of this book other places, but no pictures of that blanket! Just gorgeous. Book sounds very intriguing- I have my faves, but I love to learn about new designers too! The photos are beautiful! What a wonderful giveaway! Love the socks. The book sounds great. I will see you Saturday at The Tinsmith's Wife. I can't wait to see this book! Thanks for doing a giveaway for it! Oooooh, much want. It'll be hard to pick one of those gorgeous patterns. Thanks for doing the giveaway! Oh, my! I would love to have this book to get me back into knitting after a few years hiatus. Such beautiful patterns!!! I've been drooling over this book ~ thanks for the lovely giveaway! I am so excited about this book - how generous of you! This book sounds great, how nice of you to offer it! I also love the yarn!! The pictures of the projects make me want to know them all-thanks for telling us about this book. If I don't win I'll have to buy a copy! This book looks awesome. I would love a chance to win. Sounds like a great book!! And the yarn looks great too! Thank you for this chance to win them! I'm knottyknitwit on rav. Very exciting - I'd love to win the book. Thanks for the possibility! This looks like a great book, with great pics! And free yarn, who can resist?! Thanks for the giveaway opportunity. I just bought a beautiful skein of Helena, and this gives me some wonderful ideas. It would be wonderful to win. Best of luck, everybody. (Hope this isn't a duplicate comment because my computer burped, and it appears I lost my original comment.) I'm NashvilleKnippie on Ravelry. I love to knit with Schaefer Yarn and would love to win this book! 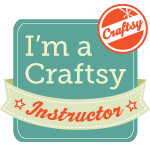 I'm jeanneftc on Ravelry. Just came across your blog after reading your post on the KnitNation forum on Ravelry. What a great giveaway! If I won, I'd make the Anne Hanson design. Fingers crossed! Thank you for the opportunity to win this book - the designs looks fantastic! What a wonderful Give away you are so so kind. I want to knit all of the above! Thanks for such a generous give-away. Ooh, I've fondled some Heather yarn before; that is some scrumptious stuff. And those patterns from the book look *gorgeous*. I'm yarnstruck on Ravelry -- pick me, pick me! I'd love a copy of the book and the yarn. I'll keep my fingers crossed (I've never won a blog give away before). I finished my mythos sweater and get tons of compliments on it. I posted photos of myself wearing in on ravelry. Who could resist a chance at winning a great book and such lovely yarn? Count me in! Thanks for doing a giveaway! So many great possibilities. Would love to win. Really enjoying working with some Anne I got this summer and would like to experience Heather as well. Pick me pick me PICK ME!!!!!!!!!!! Ooh! I can't wait to get my hands on a copy of this book :) I've been drooling over all of the sneak peek patterns for weeks now! This is the first time I have blogged,but I love the yarn and the book put me in for the drawing. Wow, I hope I win! Every review I read of this book just makes me want it more! Thanks for the giveaway. 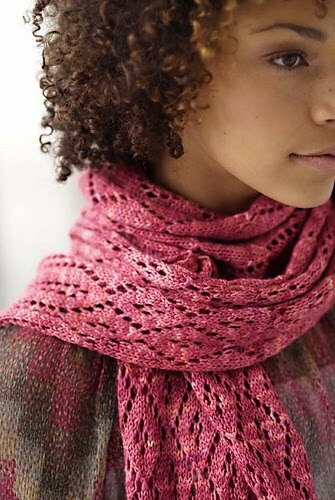 I love the Orchid Thief shawlette. All yummy patterns, by nearly all my favorite indy designers!! Would love to win!!! Thanks for the chance!!! The book looks great! I can't wait to check it out. Oops. Am I too late? M'am, I love the Tin Smith's Wife! I'm Back with a Winner! It's time... to cast on! A Back to School Treat!